A dazzling fantasy adventure for all ages, the third part of a quintet appearing at two yearly intervals, richly illustrated by the author. 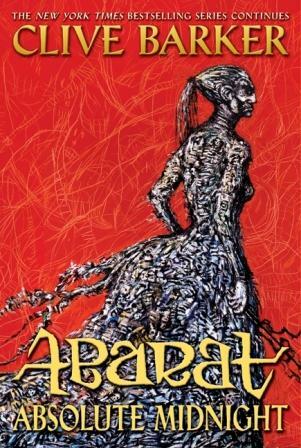 The Abarat:a magical otherworld composed on an archipelago of twenty-five islands - one for each hour of the day, plus an island out of time. In this, the third volume in Clive Barker's extraordinary fantasy for both adults and children, Candy's adventures in the amazing world of the Abarat are getting more strange by the Hour. Christopher Carrion, the Lord of Midnight, has sent his henchmen to capture her. Why? she wonders. What would Carrion want with a girl from Minnesota? And why is Candy beginning to feel that the world of the Abarat is familiar to her? Why can she speak words of magic she doesn't even remember learning? There is a mystery here. And Carrion, along with his fiendish grandmother, Mater Motley, suspects that whatever Candy is, she could spoil his plans to take control of the Abarat.